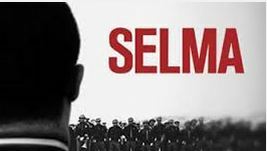 WHAT HAPPENED TO “SELMA”?!?! This is the question the blogosphere and Oscarologists in particular are asking across the online universe this day of the Producer’s Guild Annoucement of its’ ten Nominations for Best Picture. The list is below in the last post. There’s a one word answer “Screeners.” Paramount, the major film company, did the incredibly lamentable thing in not sending screeners to this group. Or any of the guild groups. Which explains in a tweet, why this wonderful, timely film that I just loved, is being ignored every where. Well,they did evidently send the All-Important-These-Days Screeners of “Selma” to the Academy members. Which is 6,000 or so right there. But if they wanted to build momentum for “Selma” (and also by the way for “Interstellar”) they SHOULD’VE sent out the screeners! It’s 2015 now ladies and gentlemen, and that’s how you win an Oscar. You’ve GOT to send out screeners to the guilds as well as to the aged Academy membership, who just simply DON’T get out to see all the movies they SHOULD, in a theater, but who SEEM to watch them at home. On their DVD players. Which is usually how and where they make their Oh-So-Important Decisions. In the comfort, and privacy, of their Bellair/Aspen/etc. homes. I can’t believe this egregious oversight on Paramount’s part. It’s not as though it’s an INDIE after all. I mean, Paramount is a major studio, for cripe’s sake. It’s like they want their films to fail this year. Or they think they don’t have a chance anyway. But it damages “Selma” particularly in that a film that SEEMED to be on its’ way to making history with the nomination of the first African-American female director, is now probably NOT going to happen for Ava DuVernay. And this makes David Oyelewo, the rising Black British star who plays Dr. Martin Luther King, also extremely vulnerable in the over-crowded Best Actor race, and leave room for Jake Gyllenhaal of “Nightcrawler” to creep in. Once you lose the Zeitgeist, it’s very hard to put the lightning back in the bottle. “Nightcrawler” surprised everyone, in a good way today. It’s good news for Indie distributor Open Road films and for Jake Gyllenhaal and maybe also for Renee Russo in the Best Supporting Actress race. Perception is everything. 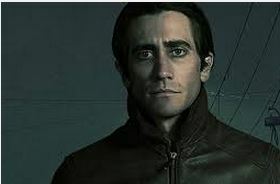 If a film is PERCEIVED to have awards heat, as “Nightcrawler” and also Clint Eastwood’s “American Sniper” which seems to be killing it at the box-office, too, well then everyone involved in those films prospers. What is the phrase “A high tide raises all boats”? But there is a glimmer of hope in that the PGA nom list has in the recent past NOT MATCHED perfectly with the Academy’s list of Ten. Or more accurately, nine. There’s usually one film different. At least. So I’m hoping the Academy does the right thing, as Spike Lee once opined, and votes in “Selma” for Best Picture. I wonder if though the Director’s Branch and the DGA will include Du Vernay after this. The DGA, BTW, ALSO did not get sent screeners of “Selma” so probably not. Sad for DuVernay’s chances. The Director’s Guild and the Director’s Branch are VERY quirky and idionsyncratic. VERY hard to predict. Like for instance, I think Damien Chazelle’s the VERY young director of “Whiplash” could pull at Behn Zeitlin (“Beasts of the Southern Wild”s 20-something director) and get an Oscar nod. And Ava DuVernay doesn’t. Oprah, you’re the producer of “Selma”, weren’t you paying ATTENTION?! ?